Moving beyond the standard verse-chorus-solo structure of traditional string bands, Twisted Pine is a multilayered ensemble that brings the enveloping sound and pop hooks of indie music to an acoustic, instrumental setting. In its early days, Twisted Pine hewed close to its bluegrass origins, but over time the quartet developed a unique, infectious style without limits. 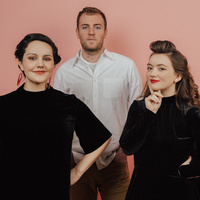 Full of energy and surprise, wit and subtlety, Twisted Pine has quickly become one of the most acclaimed young string bands in the Northeast, drawing audiences in to their forthright songwriting, lush harmonies, musical daring and charismatic appeal. Tickets starting at $47. Discounts available for UC Davis Students/Staff/Faculty, Active-duty Military, Youth and Non-UC Davis Students.